Call the professionals at Zack Hammonds A/C Heating Refrigeration Inc if your home or business air conditioner needs to be repaired, serviced or replaced. Zack Hammonds A/C Heating Refrigeration Inc provides complete heating repair, maintenance and installation services to keep your home or business warm and toasty all winter. Call the professionals at Zack Hammonds A/C Heating Refrigeration Inc for the right IAQ solutions throughout the year, so you can enjoy your home and breathe easy. 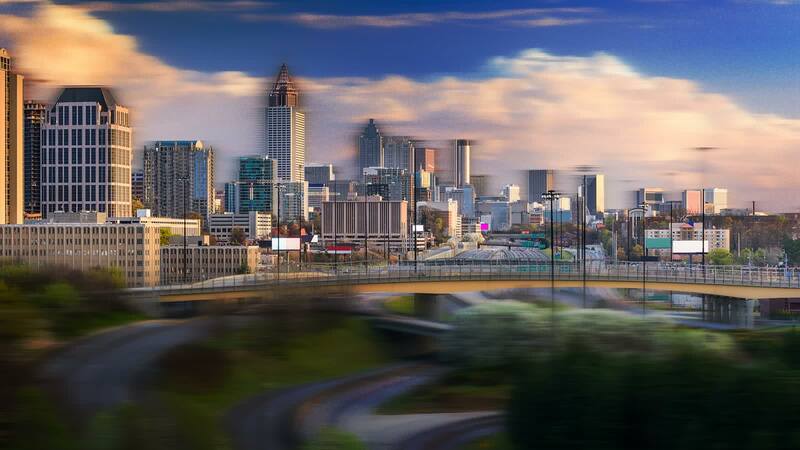 Atlanta is a wonderful place to live and work, but our weather can be severe, so a dependable HVAC system is a necessity. Commercial and residential customers in the Atlanta metro area rely on Zack Hammonds A/C Heating Refrigeration Inc to keep their indoor environment comfortable, healthy and energy-efficient. We have been family-owned and operated for over 20 years and know the success of our business is based on your 100% satisfaction. We remain committed to the time-honored principles of honesty, integrity and providing exceptional value. Since 1995, we’ve offered comprehensive heating and AC repair, installation and maintenance services for homeowners and businesses in the local area. Every heating and cooling dealer sells new equipment, but the value of your contractor will be tested when a unit breaks down unexpectedly. We maintain a large service department staffed with factory trained and NATE-certified technicians, so every repair job is done right the first time. We use factory-authorized replacement parts, and 24/7 emergency service is available for critical situations. Air conditioners, heat pumps, and furnaces are built for rugged reliability, but it’s the installing HVAC contractor who will have the greatest impact on comfort, operating costs and unit longevity. At Zack Hammonds A/C Heating Refrigeration Inc, each system is designed to ensure that every room in the building receives the precise amount of conditioned air needed to maintain comfort in every season. Your equipment will always be properly sized to reach the right balance between comfort and efficiency. Choosing a contractor can be confusing and time-consuming, but Zack Hammonds A/C Heating Refrigeration Inc makes it easy by providing a full array of services. Here are a few of the differences that set us apart from the competition. No matter how much we grow, we always understand that 100 percent customer satisfaction is essential. We strive to establish long-term relationships that last for years and through successive generations. Long after your equipment has been installed, we’ll still be there to make sure your system is operating at peak performance. You only have to call one number for complete installation, repair, maintenance and commercial refrigeration services. Our reputation is important to us, so no job is finished until the customer is completely satisfied. We understand we are guests inside your home, so our techs do their best to maintain a low profile and a clean work area. From the initial phone call to the office, all the way to the technician’s service, it was a rewarding experience. Great Company! We’ve used Zack Hammonds for years at our house and rental properties, for repairs, installations and regular maintenance. We have always been satisfied. The overall experience was very good and everyone from the company was professional, courteous and considerate. If you’re looking for complete cooling and heating repair, maintenance and installation services, call us today. One of our friendly representatives will answer your questions and arrange an appointment at your convenience.